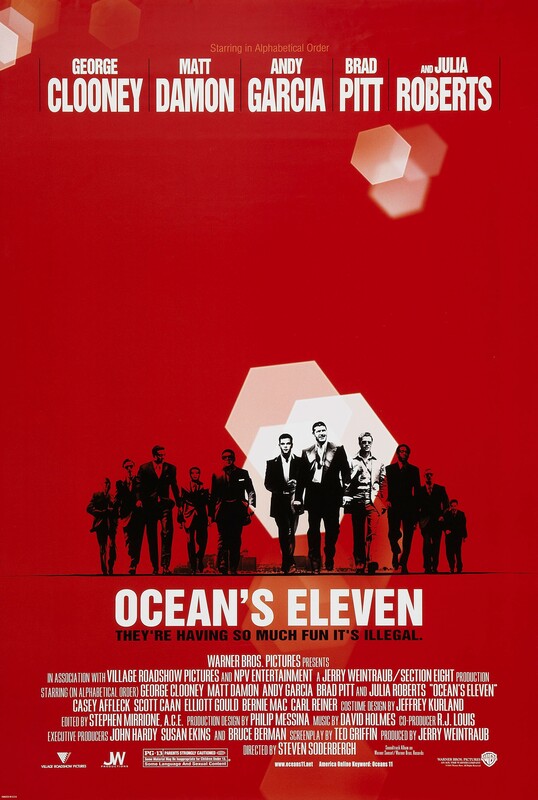 Ocean’s Eleven (2001) – Did You See That One? Danny Ocean (Clooney) is a thief, fresh out of the slammer, and looking to get back in the game. When he gets his old team back together they decide to go after the big score. 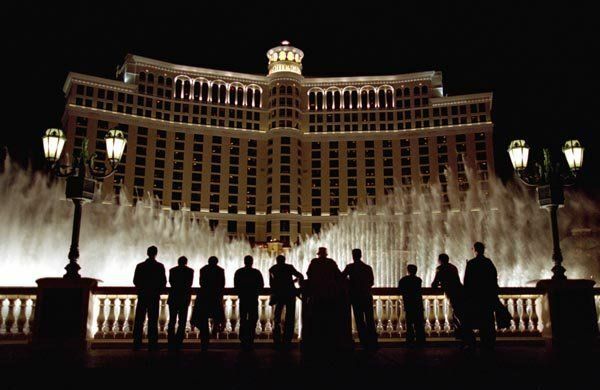 Now they’re working on a complicated plan to take down three Vegas casinos at one time. 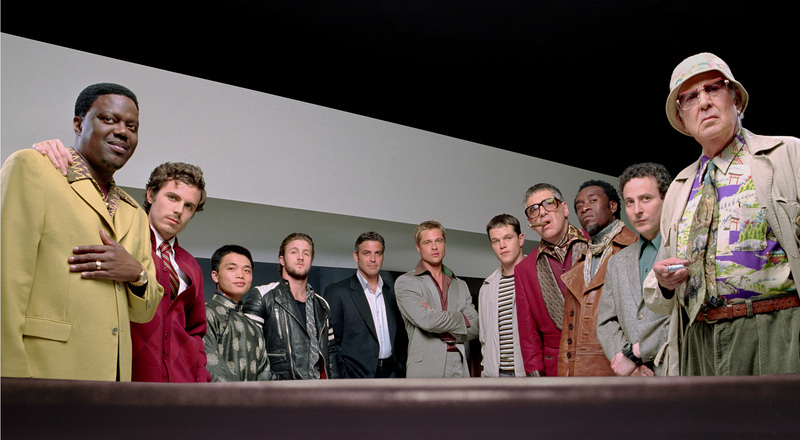 Ocean’s Eleven was originally brought to the big screen in 1960. That film featured an all-star Ratpack cast that included Peter Lawford (The Longest Day), Frank Sinatra (Suddenly), Dean Martin (Rio Bravo), Sammy Davis, Jr. (Robin and the 7 Hoods), and Joey Bishop (Valley of the Dolls). The story for that film was written by George Clayton Johnson (Logan’s Run) and Jack Golden Russell, and the screenplay was written by Harry Brown (El Dorado) and Charles Lederer (His Girl Friday). This 2001 version of the film took the original story and updated it with a screenplay by Ted Griffin (Tower Heist). Steven Soderbergh (Contagion) was picked to direct the film. This time the cast is equally packed with big names. George Clooney (The Descendants), Brad Pitt (Fury), Julia Roberts (Notting Hill), and Matt Damon (The Departed) are just a few of the stars. The cast also includes Casey Affleck (The Assassination of Jesse James by the Coward Robert Ford), Andy Garcia (The Godfather: Part III), Scott Caan (Gone in 60 Seconds), and Bernie Mac (Guess Who). This is a heist film that was written to have fun. The story takes on a serious premise with huge stakes and makes it playful and interesting. The assembly of Ocean’s team is a sequence that really brings out the unique aspects of every character. The writing also gives Andy Garcia a lot to work with as the antagonist in the story. Like most crime comedies, the success comes from the ability to get people to root for the guys breaking the law. This movie succeeds at doing just that. As the plot moves forward, the tone of the film remains consistent and exciting. The story also features enough twists and turns to keep things from getting predictable. The dialogue in this movie is wonderfully written, and allows for great performances to bring this one to life. The writing and the classic story work nicely in this one. One of the major risks of assembling this big of a cast is the possibility that no one will shine. This is not a problem with this movie. While Clooney and Pitt lead the way, there is plenty of room for the rest of the cast to show their stuff. Julia Roberts, Matt Damon, and Andy Garcia all do nice work with their roles. Roberts has the most emotionally complicated role, and does nice work. Garcia pulls off his villainous role perfectly. Damon proves that he’s able to be funny. This is true of the rest of the cast as well. The remaining cast members, including Affleck, Caan, and Mac all bring out their comedic sides and do great work. There are so many other great actors in this one. It’s a wonderfully acted movie that does justice to the nicely written story. The movie has a visual sensibility that plays along with the story and the performances. The nice cinematography was done by director Steven Soderbergh. He seems to capture all of the allure of Vegas, using it as the setting for his crime comedy. With the lights and excitement of the city, he’s able to almost blend his story into the locations and sets used. The film also features great music by David Holmes (Haywire). This movie is pure fun from beginning to end. While the story has been told before, this one breathes new life into it. I’m not a big Soderbergh fan, but this is one of his better films. The acting is good, and fans of the stars should make sure they see this one. I would also recommend this to fans of crime comedy films or just plain comedy. I give this one 4 out of 5 stars.